•Available subject to zoning • The subject site is prime for a middle to high density residential project with great access to I-10, shopping and dining amenities, and employment opportunities nearby in Chandler, Tempe, Phoenix and Scottsdale. •It is projected that Tempe will create up to 21,000 new jobs in the next 5 years between State Farm Insurance, Northern Trust Bank, ASU, Wells Fargo Bank, Drive Time, Shutterfly, Go Daddy and others - see attached articles. •With a population of 161,000, Tempe is 98% built out and the majority of the few remaining parcels are zoned for business park, commercial or mid rise condo. 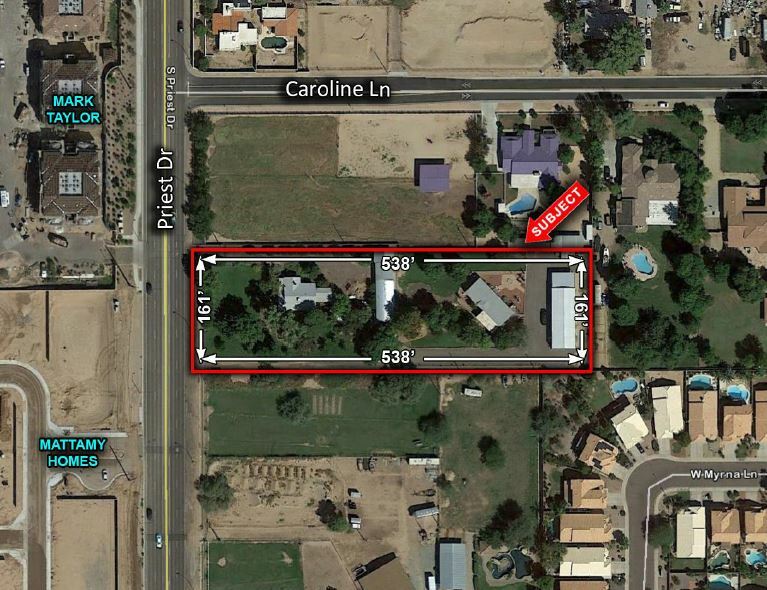 •Per MLS as of 12-15 there are 19 new homes available in the 3 active subdivisions in Tempe. LOCATION: Located on the east side of Priest Drive, between Warner and Ray in Tempe, AZ.